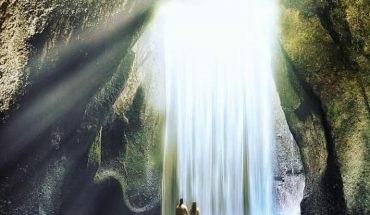 Choose a location you love because if you love it, other foreigners (potential guests to your villa) will like it too! As in any real estate investment, it is about location, location and location. 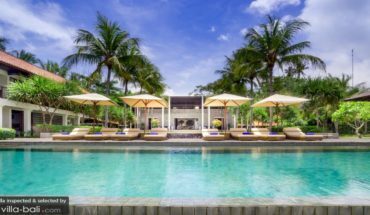 If you are looking for safe returns, target Seminyak; the investment will be twice as much as in Canggu, but the returns will come much faster. The North of Bali is more developed now. There are lots of projects so prices are going up. Don’t buy a villa or property far away from the sea. We have seen dozens of villas on the Bukit Peninsula, branding themselves as being in Uluwatu or Palangan, but in fact are 5 kilometres from the ocean. This doesn’t work. Same for the rural areas of Canggu and Kerobokan on the East side of Jalan Raya Canggu. 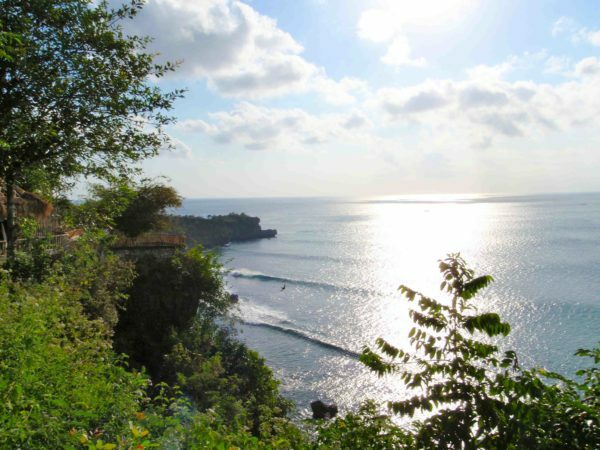 Most tourists coming to Bali will look for a villa near to beach and surf. Very few visitors will compromise on beach distance. Also, make sure your villa is in a quiet neighbourhood, away from the main street and traffic noise. A great example is Villa Yoga that is both quiet and at the heart of Seminyak. Budget well your villa. If you build in Bali, the price of construction should be between 500 to 1,000 USD per square meter, depending on the quality you are aiming for. Construction does not include the price of finishes and furniture so add another 50% to the construction price to avoid any unexpected surprises! If you plan to rent out your villa, budget for a villa manager, staff and a good photographer too. Do not compromise on service as Bali tourists are also coming for the hospitality, especially when they travel with the family. 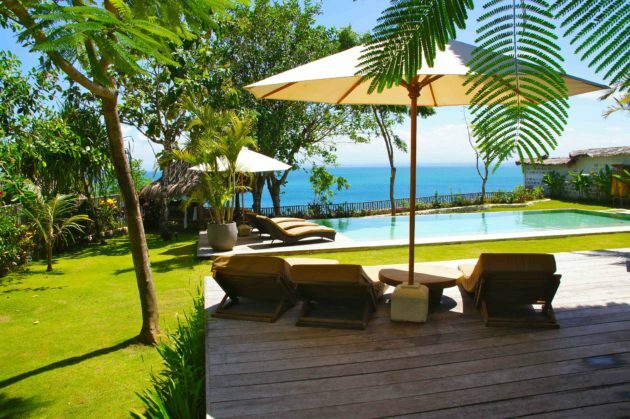 For more details, check out our guide to invest in a Bali villa. Don’t overpay. Do your market research. Typically your villa should be repaid in 10 to 12 years of rentals, depending on your location and your ability to market the villa. Don’t believe agents or advertising boards that promise returns of 20%. A good return in Bali these days is 10%. In our guide, we have an ROI calculator, check it out. Do meet agents that have a proper company, an office and a recognised name in the market. A good agent will guide you through the whole process of due diligence (including securing the access to your land, obtaining your building permit, recommending a good notary for the transaction) and will show you “safe” land or villas with proper property titles. If you are closing a deal with an agent, make sure he or she has a contract with the owner of the land or villa you are targeting. Don’t trust the many agents out there that have “friends” selling a villa or piece of land. They are usually steering you in the wrong direction. Needless to say, they won’t be there if problems occur, before or after you have made your deposit payment, as they have no legal right to assist you in the transaction. A good agent, again, has a contract with the owner of the land or villa (or his/her official representative) and will help be there to assist you the entire time. Do it the legal way. In order to do this, you will need a Building Permit (IMB) to build the villa (about 3 to 6 months to process) and a PONDOK WISATA (guest house license) to rent out your villa. One has little do with the other; an IMB can never become a PONDOK WISATA license or vice versa. Do your due diligence. If you buy land, make sure the zoning of the neighbourhood is not agricultural or green as this will make it impossible to get an IMB. Check if there are any roads or construction projects to be built around the villa (Jalan Sunset will be extended through Canggu one day!). Again, a good agent or a good notaris will guide you through the legal process. Don’t hesitate to contact me if you need a recommendation for a respectful agent or a good notary. Don’t buy freehold. It is not authorised for a foreigner to own property in Bali. Any free-hold transaction is unlawful. You can only lease land or a villa in Bali. If you buy an existing villa, do not buy if there’s no IMB. Don’t buy land in a green zone. Don’t use just any notary or agent. Be careful and respectful of laws just like you would be in Europe, Singapore or Australia. Hope this helps! Any more questions – please do not hesitate to contact us – we will be happy to send you some more recommendations. French, Father of 3, Founder of Villa-Bali.com, 15 years in Asia, runner, swimmer, kitesurfer and yogi! Interesting post, this may be just a few things that should be known by property investor in Bali. This certainly could be a consideration in the decision to divert funds and capital to areas of the property. because property investment is an investment long run with a very stable value. and it is interesting to know. nice article. Hi Daniel, Do you have updated stats?? 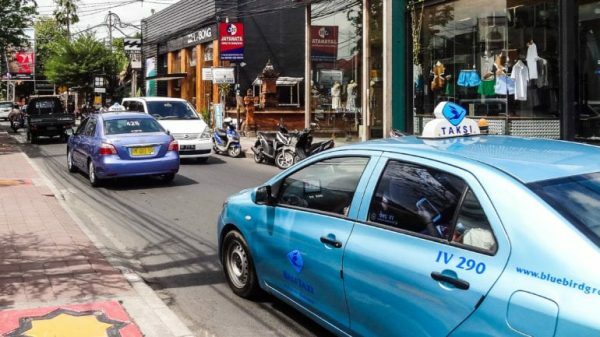 Is Batu Belig enveloped in your Seminyak stats. I assume Berawa would be considered Canggu. Hi Livia! We haven’t updated the stats but I would say there is even more competition/villas in South Bali now so expect lower occupancy or lower prices (I wouldn’t choose this option though). And yes, we included Batubelig in Seminyak, and Berawa in Canggu. Hi, thanks for this article. Do you know if for renting an existing guest house for business (4 rooms + restaurant), having already made my PMA which type is JASA ACOMODANSI, I need to do do the IMB for the guest house ? Hi Daniel. I have been offered to buy a piece of land in the rice fields of Ubud for about 1,900,000 rp per are. I was told it was freehold but I would be need a local person as a partner to have their name on the certificate, kind of like a sponsor I suppose. Does this sound legit? Hi Jared! The price looks like a lease hold. Free hold would be much more expensive (at least 100m rupiah per are). For a free hold, indeed you need a nominee. For a lease hold, you can contract under your own name. Therefore, most notaries or real estate agents will recommend to go for a lease hold which is the only legal way to lease a land for a foreigner. Daniel, Thank you for your response. I’d like to note that I did indeed leave 3 zeroes off of the number. I was quoted 190m rupiah per are. Does this change anything in your mind? Hi Jared, I think I wouldn’t do free hold personally, very risky. I bought a freehold land in 2009 in Tabanan. I’m worried about the unlawfull land status. Is there a way to make it legal? None as far as I know :/ Your land must have been bought with someone else’s name. Hi David so you mean to say its impossible to buy a property in Bali for an International citizen is it? So can we lease a villa for 25 years as I have seen villas for lease for 25 years. Indeed, foreigners can’t legally own land in Indonesia (as in many other countries). But long term lease are fine. Hello, where do I go for a Pondok Wisata? Do you know how much it cost? Hi Daniel, thank you for the excellent site. I’m looking to buy a house/villa possibly in Canggu/Munggu area. Can you recommend reputable agents to deal with or good places for leads that are reliable? Please feel free to email or message me if you prefer. Thanks again! Hi Ali! Could you send me your details at daniel@villa-bali.com? Of course, you can take some precautions. But at the end of the day, you don’t really have a freehold since the land is not in your name. You will pay the price of a freehold, but won’t get the rights. You can always be taken for a ride and that’s why we advice against (I’ve heard enough stories of “trust” and “precautions” being broken…). Hello Daniel, first of all, congrats for your site!!!! 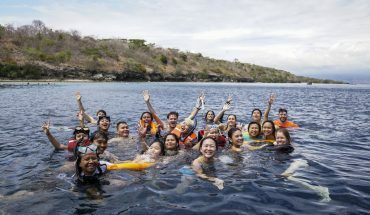 I am wondering about live in Bali and have a business, because I need money to live there, to make my travels and to be able to do volunteering. 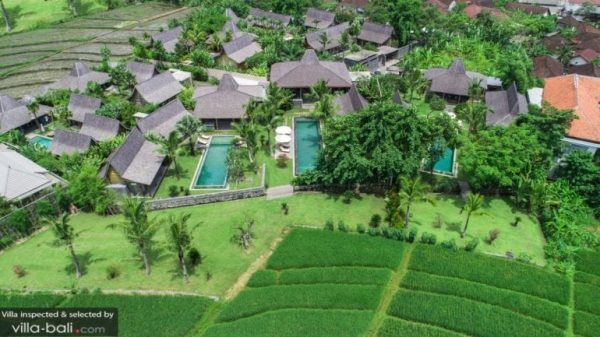 I heard from a local balinese friend that people ( foreigners) never buy the land, but they leasehold the land and do the construction, or they lease the existent villa and they can make several modifications and rent. The thing is: people are ‘buying’ places and they rent the rooms and the villa at AIRBNB. this is legal? I want to have a place there, in a great location, but a place to call home. But i won’t stay there the full year, so I need to rent to be able to keep it and use it as an investment . Is that possible? You live in Bali? I also thought about doing something in other island in Indonesia, but I-m not a rich person, not even close. But I am looking for a place to call home. Hi Filipa 🙂 Thank you for your comment! Yes, it is legal for foreigners to lease a land, build a villa and then rent it to tourists. Of course, they will need the proper documentation (building permit, license to rent, etc.) and to pay their taxes. What you are looking at doing is quite common and definitely doable. Let’s discuss it privately, send me an email at daniel@villa-bali.com. I dont own the land but what about the house i build ? By right anything on the land belongs to the land owner, including a building or a villa. If you want to safe guard your villa, I would advise to get in touch with a notaris in Bali and do a bi-partite contract with your friend to secure this. Hi David Am thinking of buying leasehold a property with four small villas as a going concern .owner has it freehold and used to be married to a local. What would happen if the landlord/ freeholder died during the period of the lease and it reverted back to her nominee .? Hi David, looking at buying a freehold villa in Canggu. The price for freehold is much higher than leasehold. Is freehold the way to go ? Hi Leanne. Freehold is illegal in Indonesia (like in many other countries, only nationals can own the land) so I would never recommend it. Hi – my spouse is a Bali citizen, so I’m targeting freehold property. 1. What is the going rate as of September 2018, for an ARE of land near Seminyak? Or at least within 2 km (1.25 miles) of the ocean. 2. Also, is that TRUMP hotel neat Tanah Lot happening or not? Is that area going to be developed to be the next Caangu? 3. I was hoping to build my own 3 bedroom villa for 2,000,000,000 IDR ($134,000 USD), which sounds feasible with local resources. 2. Trump Hotel near Tanah Lot: the former Pan Pacific Tanah Lot is being rebuilt at the moment and should indeed become a Trump branded hotel & golf course. For sure the coast is developing going north west from Seminyak and Canggu and this area will develop further ; the only question is the pace ie how many years will it take to become a hot spot. Thanks for sharing all these insights and all the wonderful articles that you guys write. When it comes to building a villa, are there one-stop shop companies that take care of the whole process (architect, design, build, interior decoration, furniture sourcing, landscaping etc)? Any of the reputable ones that you could recommend? Hi David, we have three villas in Tabanan on 1700 are . We bought it freehold, a few years ago, with a good friend as our nominee. Is it possible to change the certificate to Leasehold or right to use. My wife and I are thinking of turning it into a business ( holiday rentals ). Lately, our relationship with our nominee hasn’t been that good. Would it be worth the change on our behalf. Cheers Mick. This is a rather complicated transaction, especially if your relationship with the nominee has deteriorated. I would recommend getting legal advice for this transaction. Thak you so much for all te information you posted. I am interested in building a 7 self-contained bungalow style villa with a common area with a fully installed kitchen, Balinese style pool, a best man house in a 20 ara land. Would you have an idea of the running costs (staff, water, electricity, maintenance, supplies, cleaning material)? Could you give me any help with that? It would be awesome if you could. I’ll be waiting for your response. Hi Fabiana – A basic villa runs for USD500 a month, a decent 4bedroom for USD1000 so I would estimate no less than USD1500 for 7 bedrooms/bungalows. A big share is staff so it depends very much on how many staff you would hire ; beware the electricity bill too. Thank you for the comment! I’m glad that you find it useful! We are looking at leasing 10 are of land in Penestanan. Where can I find the land zone? It has been rice paddy until now. My question is does It even make sense as a Foreigner to go to a Bali since you can’t even own real estate. How can an American stay long term I know they retirement visas for 55+ what are your options if you are younger. Thanks for sharing all these insights and all the wonderful articles that you guys write. Your company is based in Singapore right? I should drop by for a chat some time.